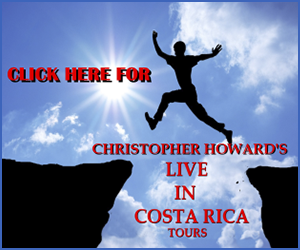 Our most important award is the recommendations we consistently receive from the hundreds of satisfied clients we have helped relocate to Costa Rica over the years. But we are also proud of some of the other associations we belong to and and any real estate award we have received. 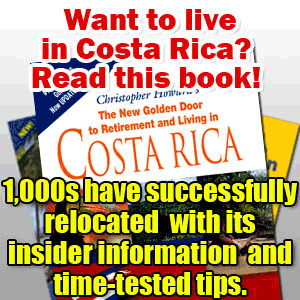 Attorney Roger A. Petersen, writer of the bestseller “The legal guide to Costa Rica” where Mr. Petersen gives newcomers who relocate to Costa Rica all this incredible information about moving to Costa Rica. 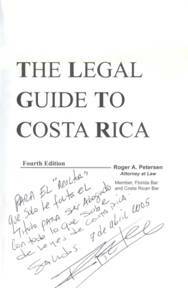 Mr. Petersen has given us the best reference imaginable for Real Estate professionals in a dedicatory of his new edition: For the realtor who only misses the title of attorney to be one, with everything he knows about Costa Rican law. Regards, signed by Roger Petersen on the 7th of April 2005. We recently won a real estate award by a software company that creates one of the leading real estate programs. We have reviewed your site and found it to be an exceptional online resource, and an excellent resource for local home buyers. The site presents a professional design, and provides a wealth of information that is not commonly found on other real estate web sites. Congratulations on your achievement, and thank you for helping to expand the reach and resources of real estate on the internet. Your contribution is appreciated. Congratulations! Your web site has won our Top Local Site award for providing outstanding local Real Estate content. We believe local Real Estate markets are best served by the Real Estate professionals that actually live and work in the area their web site represents. This award is designed to recognize these Real Estate professionals and the valuable services they provide their community. Please take note that this award is unlike others you may have encountered. By that we mean that this award has no costs or obligations, such as having to join a directory, being added to an e-mail list, taking part in link-exchanges, and so on. The award is simply yours to show off on your site—so go ahead, you’ve earned it! The Council has nominated your organization to honour you with the trophy. This trophy shall give you global recognition for your efforts, so that you get a greater edge. It will act as one of the most effective marketing tool and will carry forward your image at much higher levels. It also provides extra confidence. 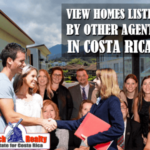 We are proud to be founding members of Costa Rica’s only realtor referral network. 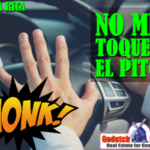 This group is a network of reputable, experienced real estate profesionals that works together to better serve our clients, both buyers and sellers. The unique database allows us to share listings nationwide, like a mini MLS of Costa Rica, at the service of both sellers and those who plan to relocate to Costa Rica or are just looking to buy Costa Rica Real Estate. 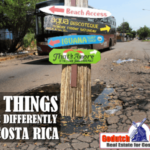 GoDutch realty was one of the very first Costa Rica real estate companies joining the new Tierra Max® MLS which is the first real nation MLS of Costa Rica. 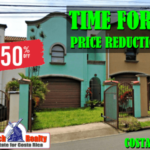 I believe Tierra Max® MLS of Costa Rica is the change Costa Rica Real Estate professionals and buyers of Costa Rica real estate have been waiting for. 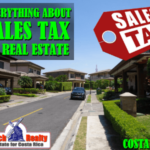 I fully believe Tierra Max® MLS of Costa Rica will be an incredible benefit to the Costa Rica real estate community as a whole and I hope buyers and sellers of Costa Rica real estate will benefit from it.